Charlotte the Scientist has so many brothers and sisters that she doesn't have enough room to work on her science experiments. Using the scientific method, Charlotte tries to solve her problem. This is a great book to introduce young students to the scientific method. Charlotte is also persistent and flexible in her problem-solving which makes this a book that would be useful in teaching about the mindsets for learning. 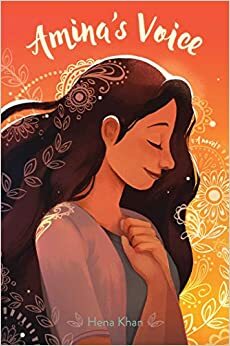 This is book is about a girl finding her voice while trying to manage friendships and figure out how her Muslim and American cultures fit together. The book is also one that shows the power of community. Amina's experiences are relatable while also providing insight into a culture that some readers will be familiar with and others will learn from. This is a lovely book that will help grow compassion. Bat's mother brings home a baby skunk that has been rescued and Bat immediately forms a bond with the animal. Bat tries to convince his mom to let him keep the skunk who he names Thor. Although it's never directly stated in the book, it seems as if Bat has autism. Bat is a funny, heartwarming character with a unique perspective on life. The book has a gentle message about being oneself. This is a middle grade novel I quite enjoyed and I have written a more detailed review here. The CatStronauts are sent on a mission to the moon to solve the energy crisis that threatens to leave the world in the dark. This is a pretty cute graphic novel about a group of determined cats who become heroes. There is not a lot of action as there is in other graphic novels my students tend to read, but the students I have shared it with have enjoyed it. I think they are amused reading about cats traveling through space. I want to read ALL of these! Thank you for posting! These all sound amazing! I love that the first three books, though very different and distinct, all carry that important message of discovering and being oneself, especially when that true self might not fit exactly with the world's expectations. Love the idea of Charlotte the Scientist, and have Amina's Voice almost at the top of my list, Lisa. 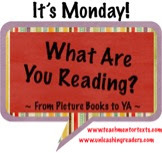 There are so many good books coming out & being praised! Thanks for your reviews, too. I loved A Boy Called Bat and think that lots of kids are going to be able to relate to it. 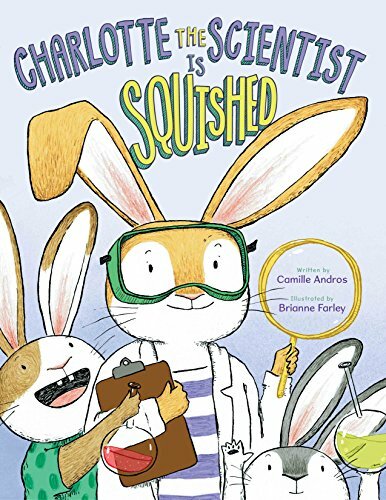 I've ordered Charlotte the Scientist is Squished from the library. Looks like a great book to show that girls can be interested in science. 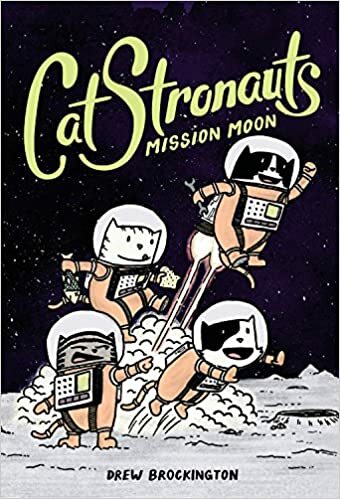 I have a copy of Catstronauts I need to get to! I love that there is science in this one - may appeal to a needed group! Catstronauts sounds clever. I've been seeing so much book love given to A Boy Called Bat - very very interesting.